Take our industry-recognized Advanced Social Advertising Certification to demonstrate you have the expertise to plan and execute successful social ads campaigns. A permanent online certificate to showcase your expertise that you can link to from your blog, website, and any other online profile. Listing in the Hootsuite Certified Professionals Directory, which helps brands and employers find talented professionals with social media skills—like you! Get your Hootsuite Advanced Social Advertising Certification by passing a 50-question online exam, testing your knowledge of the core principles of using social media in advertising. The exam is based on Hootsuite’s online Advanced Social Advertising Course—a comprehensive series of easy-to-follow video tutorials that cover everything from setting campaign goals, the use of remarketing and lookalike audiences, building and testing social ads, and measuring the impact of ad campaigns. Does the certification ever expire? No. Once you pass the exam, the certification is yours forever. 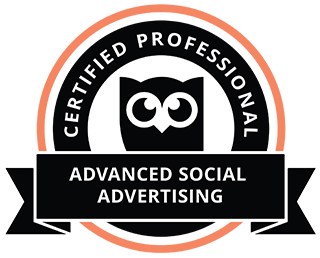 How do I prepare for the Advanced Social Advertising certification exam? The exam is based on the Advanced Social Advertising courseware that teaches pro tips and best practices to optimize social ad campaigns from start to finish. We strongly recommend reviewing the course before attempting the exam. How many questions is the exam? What is the passing grade for the exam? You’ll have 60 minutes to complete the 50-question exam. If I fail the exam will I have to pay again to retake it? No. You can take the exam as many times as necessary until you pass, at no extra cost. Can I take the exam without taking the course? Yes. If you’re confident in your advanced social advertising skills, you can go straight to the certification exam. How is the exam created? 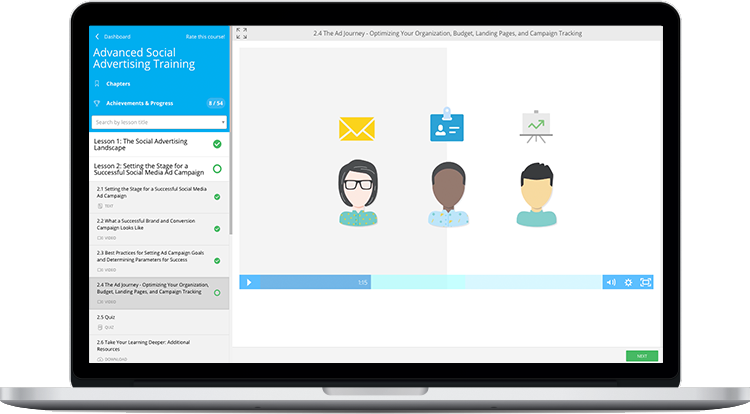 The Hootsuite Academy team creates exams following established instructional design best practices. More information can be seen here.